Republican presidential candidate Newt Gingrich on Friday called on a well-heeled outside group supporting his candidacy to correct the inaccuracies in a half-hour film highly critical of GOP front-runner Mitt Romney's career as a venture capitalist or "pull it off the air and off the internet entirely." The former House speaker has vowed to prevent inaccurate ads against his rivals to be aired on his behalf. He called on the super PAC run by his former top campaign aide to reevaluate a video called "King of Bain: When Mitt Romney Came to Town" after the Washington Post's fact-checking team deemed it highly inaccurate. According to the New York Times, Gingrich, at a campaign stop Friday in Orlando, said, "I'm calling on them either to edit out every single mistake, or withdraw the entire film. They cannot run the film with those errors in it." At another stop in Miami, Gingrich acknowledged the harsh criticism he's gotten from many conservatives for the video, which they have interpreted as an attack on free market capitalism. "I've gotten huge pushback," Gingrich told a crowd at the Versailles Restaurant in Miami, according to the Palm Beach Post. "Some of you have seen this on television. So let me be clear, to question a presidential candidate's claims to have created jobs is not to attack capitalism, it's to question a candidate. The idea that some candidate can make a claim and then yell 'foul' when you ask him to prove it is just silly. If he can't stand up today and defend his claim, how's he going to stand up to Obama in the fall." Are GOP attacks against Romney helping Obama? The newspaper gave the King of Bain ad four "Pinocchios," which is its standard of measure of the truthfulness of political speeches, statements and ads. The Post's analysis concludes that the video, paid for by the Winning our Future super PAC, offered a "highly misleading portrayal of Romney's years at Bain Capital." The 28-minute documentary-style video - and the corresponding television ads that have been created from excerpts - depicts Romney and the investment firm he headed gutting multiple companies of their assets and tossing thousands of people out of work as a result. The Post found that only one of the four case studies depicted in the film involved decisions made by Romney while he was at Bain. It also discovered that some of the people interviewed for the film did not know their interviews were for a film about Romney and Bain and felt that their quotes were taken out of context. 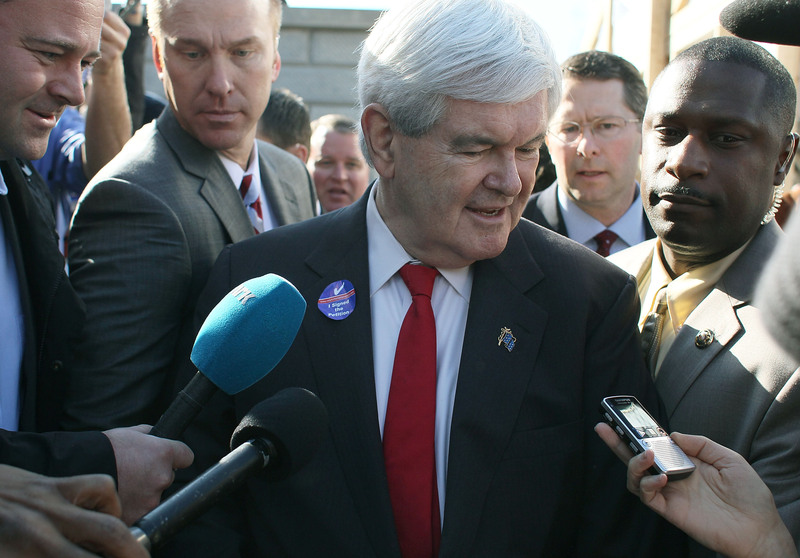 In his campaign for president, Gingrich has frequently decried misstatements made in negative ads that targeted him and were created by a super PAC supporting Romney. He blamed the Romney PAC ads for destroying his chances for a strong finish in the Jan. 3 GOP caucuses in Iowa. He often cites the Washington Post's fact-checkers as proof that the negative ads run against him were deceiving and he called on Romney to denounce the ads and to demand that the PAC remove inaccuracies. That position left the former speaker little choice but to call for the removal of false material in his own super PAC's video. "If there's anything being done by anybody who thinks they're supporting me which is not factually accurate, they should change it," Gingrich said Monday in Manchester, N.H. "Period. I want it to be factual." Since his fourth-place finish in Iowa, Gingrich has shifted his emphasis from "positive" campaigning to an increasing barrage of negative attacks against Romney. To get that message out, however, the low-budget candidate has needed the help of the super PAC that recently became flush with cash after Las Vegas casino mogul Sheldon Adelson made a $5 million donation.